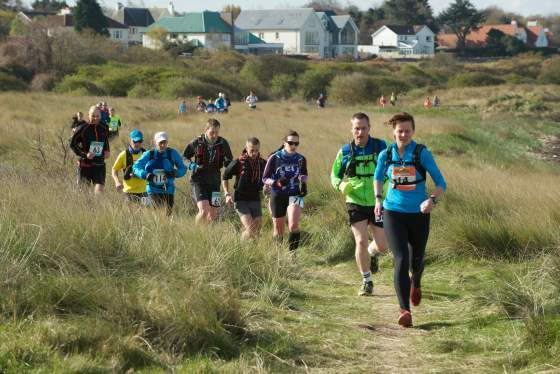 Outdoor enthusiasts and families stepped into a world of adventure with the FIRST ever John Muir Coast Festival, which took place at the weekend in East Lothian from 22nd to 24th April 2016. John Muir, the famous conservationist and founder of America’s national parks, was born in Dunbar where his love of the great outdoors began. The festival was inspired by Muir’s advocacy of the benefits of an outdoor lifestyle. From East Lothian’s first ever night golf event to an ultra marathon and wakeboarding competition – the festival had something to suit everyone. “The first ever John Muir Coast Festival proved to be incredibly successful event as thousands of locals and outdoor enthusiasts from across the country took part in the array of events, from East Lothian’s first ever night golf event at Dunbar Golf Club, which sold out in 4 days of the tickets going on sale, to an ultra marathon and wakeboarding competition – the festival had something to suit everyone” commented Councillor John McMillan, Spokeperson for Economic Development & Tourism. As part of the John Muir Coast Festival, there was an amazing opportunity to play in East Lothian’s FIRST night golf tournament at Dunbar Golf Club on Scotland’s Golf Coast. Only 30 miles from Edinburgh, Dunbar Golf Club is an Open Championship Qualifying Venue and one of the most beautiful examples of a classic links course in Scotland. 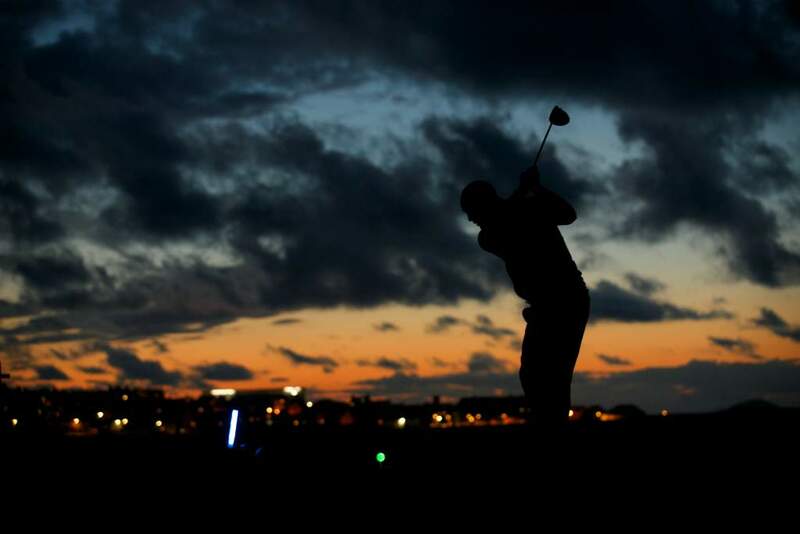 This Festival gave individuals the opportunity to not only experience this excellent golf course, but the exclusive chance to play it in the dark. In partnership with the fantastic Night Golf Company (www.thenightgolfcompany.co.uk), this unique experience of golf at night, using revolutionary LED golf balls and marking equipment led to an early sell out of tickets. Using the Texas Scramble format, teams of four tested their skills against fellow night golfers across 6 holes in a fun and relaxed atmosphere. “This was certainly a novel event and the lasting memories will be the fits of laughter and enjoyment that emulated from all parts of the course, without of course, being able to see the individuals involved” said Gael Pollitt, Captain of Dunbar on East Lothian’s First ever Night Golf event which kick started the John Muir Coast Festival. Night Golf organiser, Mark Goodwin, commented ‘It was a new record attendance on Friday night at the John Muir Night Golf event’. To watch the video of the John Muir Night Golf click here. The weekend also saw the launch of the first Foxlake Outdoor Festival, an exhilarating day of fun for all the family! Set within the beautiful surrounding of Foxlake Adventures, home to Scotland’s first cable wakeboarding park and the UK’s only ropes course constructed over water. Visitors spent the day listening to fantastic live music, sampling local food and drink, watching some of the UK’s finest wakeboarders, and embracing new adventures giving wakeboarding, FoxFall ropes course, segways and zorbing a try. There were guaranteed thrills for adults and children alike, with a spectacular fireworks display concluding the day! “We felt that the inaugural Foxlake Outdoor Festival was a big success with tickets selling out over 10 days prior to the event. On the day the weather was a bit chilly but it didn’t stop the vibe on the site being warm and relaxed. Throughout the day we had Ultra Marathon runners crossing the line, pro wakeboarders making a splash on the lake and a chorus of screams and laughter from the inflatable village all to the soundtrack of great live music!! All in all a great day at the lake” Foxlakes Managing Director, James Barbour commented. The John Muir Stone Stacking challenge saw hundreds of visitors come to Dunbar for this unique competition, the first of its kind, with a blend of the towns best Musical Talent and a great array of artists and artwork on display made for a perfect beachside day. The competition was fierce with locals competing against visitors from the rest of the UK and the creative displays and balancing skills was great. This event is the perfect way to reconnect with the outdoors, finding your inner creativity and this competition will hopefully become a regular fixture on the calendar. Having the beach wheelchair charity from North Berwick providing accessibility to the east beach and seeing the many young families have a go themselves was truly inspirational, East beach hasn’t seen such a crowd in a generation and this competition was a great way to showcase using such a wonderful location in spite of the environmental changes this beach has seen. The entire John Muir Festival which featured such a unique blend of outdoor pursuits highlights once again why East Lothian and especially Dunbar is the perfect destination for all generations and for all abilities to come and reconnect with Nature, something John Muir, I am sure, would have been proud of. (HARRIS, Michigan) – Thanks to the relatively mild winter, Sweetgrass Golf Club is set to welcome 2016 season players on Friday, April 29. Designed by Paul Albanese, Sweetgrass is an award-winning amenity of Island Resort and Casino. The 18-hole championship course hosts an annual Symetra Tour “Road to the LPGA” event, in which the rising stars of women’s golf compete. The Sweetgrass layout features historic rescued bridges and a unique collection of greens (Redan, Biarritz, Island and Shared greens). 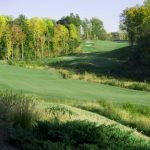 The resort’s popular golf package, the Perfect Foursome, starts at $230 per person in spring 2016 and includes a 2-night stay and three rounds of golf at Sweetgrass, TimberStone and Greywalls. All three are ranked among Golfweek’s “America’s Best Courses You Can Play By State.” Various other package combinations – as short as one-night stay/one round of golf and as long as four-night stay/three rounds of golf – are also available. Sweetgrass provides a dedicated on-site golf concierge and VIP Room where groups enjoy comfortable living room-style seating, private dinners, gaming tables, beverage service, televisions and direct access to the golf course, pro shop and open fire pit. Sweetgrass will have a companion course that’s of a completely different design and feel. As yet unnamed, it is undergoing construction with a planned 2017 debut. For more information, see http://www.sweetgrassgolfclub.com or call 906.723.2251. Owned and operated by the Hannahville Indian Community, a band of the Potawatomi Nation, Island Resort and Casino is located in the unspoiled beauty of Michigan’s Upper Peninsula. Boasting more than 1,200 slot machines and 24/7 Vegas-style gaming, the entertainment destination offers slot machines, craps, Blackjack, Spanish 21, Three-Card Poker, Let It Ride, Roulette, Bingo and more. The resort’s award-winning poker room features live action as well as a full tournament schedule. The Island hosts top musical headliners from a variety of genres in the intimate, 1,327-seat Island Showroom. Lodging options at the resort include finely appointed guest rooms, 14 elegant suites and a 42-site RV Park, opening the 2016 season on May 1. The property is easily accessible via a pair of regional airports in Escanaba and Marquette. It is an easy, scenic 4-hour drive from Milwaukee and two hours north of Green Bay. For more information, see http://www.islandresortandcasino.com/. (PETOSKEY, Mich.) – BOYNE Golf – home to 10 premier courses spanning three resorts in the heart of “America’s Summer Golf Capital” – is opening its first four courses for the 2016 season on Friday, April 29.Arthur Hills at Boyne Highlands Resort, The Alpine at Boyne Mountain Resort, Crooked Tree Golf Club and The Links / The Quarry at Bay Harbor Golf Club lead the way. 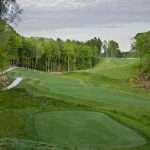 BOYNE Golf’s other layouts – all within a short distance of each other and in close proximity to Lake Michigan – are opening on a rolling basis over the coming weeks. A variety of anniversary-themed promotions are planned, the first of which is $50 rounds on The Heather on June Thursdays after 1 p.m. Visit this link to book: www.boyne.com/golf/Heather50 (Promo Code: Heather50th). BOYNE Golf’s academy is once again offer a full menu of instruction programming, including its new Power Clinic, which focuses on techniques to hit the ball further off the tee. Other innovative highlights for 2016 include the return of GolfBoards to Boyne Highlands and 140 new state-of-the-art EZ-GO carts at Boyne Highlands (80) and Boyne Mountain (60). 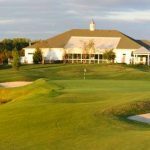 With courses designed and inspired by renowned architects like Robert Trent Jones, Sr., Arthur Hills and Donald Ross, BOYNE Golf’s three flagship resorts offer experiences to suit players of all ages and abilities. Beyond golf, BOYNE’s unique on-property amenities include award-winning spas, waterfront dining, sandy beaches, Avalanche Bay – Michigan’s largest indoor waterpark, and adventure sport venues. They are supported by historic, lakeside resort towns Charlevoix, Harbor Springs and Petoskey all a short drive from Mackinac Island. Following in Hemingway’s footsteps, taking in the famous northern Michigan sunsets, enjoying the casino and exploring acclaimed microbreweries like Petoskey Brewing mean golf isn’t the only game in town. 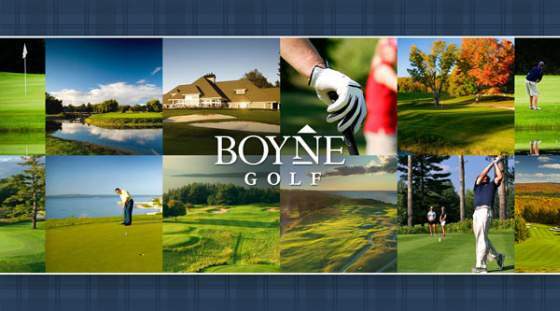 BOYNE Golf offers the largest collection of courses (10) in the Midwest shared among three resorts in northwest Michigan’s Petoskey area: Boyne Highlands Resort in Harbor Springs, Boyne Mountain Resort in Boyne Falls, and The Inn at Bay Harbor – A Renaissance Golf Resort in Bay Harbor. Golfers play up to 72 holes daily thanks to the region’s long daylight hours and ideal temperatures. With courses suited to a wide range of playing abilities, accommodations for every taste and budget, world-class amenities and memorable off-resort attractions, BOYNE is a premier destination for vacationing golfers, families and meeting planners. Not only is Volvik making a name for itself in the United States and especially Southeast Michigan sponsoring the LPGA Volvik Championship at Travis Pointe Country Club (May 23-29), the up-and-coming golf ball manufacturer is also changing the way golfers look at golf balls when it introduced the world’s first ever matte finish golf ball –the VIVID– at the 2016 PGA Merchandise Show in January. Now, the LPGA Volvik Championship and Miles of Golf also have partnered with Volvik USA to create the commemorative orange ChadTough VIVID logo ball. A sleeve of the ChadTough VIVID logo balls are available only with a purchase of a $30 ChadTough Orange Ticket package for Saturday, May 28th. The tournament will donate $10 from the sale of each Orange Ticket directly to The ChadTough Foundation. These tickets must be purchased by Sunday, May 15th. The VIVID is a premium, 3-piece ultra-performance golf ball that is the first of its kind to the US market. It is essentially the same construction as Volvik’s best-selling new Crystal ball, but instead of a Crystalline translucent cover, Volvik’s world-leading R&D team has figured out how to apply a matte finish to one of the longest golf balls on the market without sacrificing distance or durability. This makes the VIVID even more visible and attractive to a broader market that is seeking something cool and unique. The VIVID is a 3-piece, 80-compression ball that has tested as one of the longest golf balls on the market today, especially for slower to medium swing speeds to gain extreme distance. 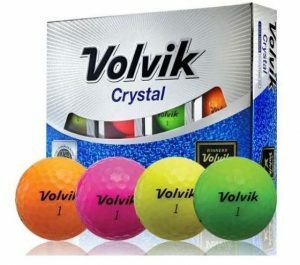 This golf ball is unique in the fact that it combines Volvik’s neon colors with an amazing matte finish plus all the performance that the Crystal ball has become famous for. Volvik is also updating its premium, three-piece Crystal model—the company’s flagship product. A 322-dimple pattern with will help create a higher and farther ball flight for the new version of the Crystal. Volvik is the #1 Color Golf Ball on Tour with over 75 professionals using Volvik’s ultra-high-performance color golf balls on the world’s professional tours. Since 2012, players using Volvik golf balls have earned over $8.5 million in prize money on the PGA TOUR, LPGA Tour, Champions Tour,Web.com Tour, Ladies European Tour, LAGT and Symetra Tour with 14 victories and over 100 Top 10 finishes. Volvik has experienced more color golf balls in play on the world’s professional tours than any other manufacturer in the history of golf. ORLANDO, Fla. (April 18, 2016) – Golfweek is bringing its annual Father & Son Open to Streamsong Resort Golf & Spa in Streamsong, Florida, this Father’s Day weekend (June 17-19). For more than three decades, this special event has been inviting players to experience three days jam-packed with timeless tradition and friendly competition. The 2016 Golfweek Father & Son Open – which is open to amateurs and professional golfers of all ages – features a two-man, 36-hole Modified Chapman format and will be played on Streamsong’s Red and Blue Courses. The field will be divided into flights, with prizes awarded to the top teams in each flight. Throughout the weekend, participants will also get to enjoy an opening night shootout, tee gifts, the Father of the Year luncheon and an awards luncheon. Space for the Golfweek Father & Son Open is limited, and slots will be filled on a first-come, first-served basis. Visit GolfweekEvents.com for full event details and to register today. Founded in 1975, Golfweek is the most authentic, authoritative and independent voice in golf. Serving enthusiasts who are truly passionate about the game of golf, the Golfweek brand includes Golfweek magazine, the Golfweek Digital Network, Golfweek Mobile, Golfweek Events, Golfweek Custom Media, The Golf Wire and TurfNet.com. Golfweek is part of Turnstile Media Group, which specializes in developing diverse media platforms that engage and strengthen the communities they serve. Founded in 1990 and headquartered in Orlando, Florida, Turnstile Media Group is also the parent of Professional Artist, Winter Park/Maitland Observer, Central Florida Senior and Turnstile Connect. 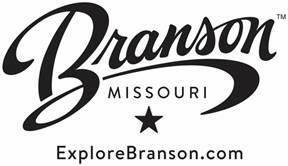 (BRANSON/LAKES AREA, MISSOURI) – World Golf Hall of Fame members Jack Nicklaus, Tom Watson, Fred Couples, Hale Irwin, Gary Player and more will participate in the Bass Pro Shops Legends of Golf at Big Cedar Lodge, April 20-24. 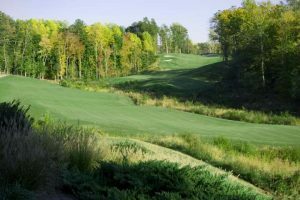 The PGA TOUR Champions event – a 3-day, 54-hole competition – will take place at the 9-hole, par-3 Top of the Rock Golf Course and the 18-hole Buffalo Ridge Springs layout. Both are amenities of renowned Big Cedar Lodge. Jack Nicklaus designed Top of the Rock, the only par-3 course included in an official PGA TOUR professional event. Player, widely regarded as the most-traveled golfer ever, calls Top of the Rock the world’s best par-3 course. Buffalo Ridge Springs was designed by Tom Fazio and earned distinction in Golfweek’s 2016 “America’s Best Courses You Can Play” by state listing, determined by a panel of experts who canvass courses nationwide. Daily and week-long tickets are available to the tournament, which arguably draws golf’s greatest field of players. Daily Pass Tickets cost $25 ($20 when using MasterCard) and provide admission to Top of the Rock and or Buffalo Ridge on any one day from April 20-24. Those planning on attending more than one day may purchase a Daily Pass for each date, or a Gold Ticket that’s good for the entire week. Gold Tickets cost $100 ($80 when using MasterCard) and provide admission to Top of the Rock and or Buffalo Ridge each day, April 20-24. The Gold Ticket provides week-long access to both golf courses and the “Arnie’s Barn” clubhouse facilities at Top of the Rock. The historic 150-year-old barn, relocated from Palmer’s hometown in Pennsylvania, houses the Top of the Rock Pro Shop and a superb restaurant full of historic photos and memorabilia. Any tickets purchased online will be held for pickup at Will Call (College of the Ozarks Alumni Center in Point Lookout, Missouri). Tickets are available for purchase at both golf course gates (Top of the Rock and Buffalo Ridge) and at Will Call (College of the Ozarks Alumni Center in Point Lookout, Missouri). A “Top 100 Public Course” upon opening in 1999, Buffalo Ridge Springs re-opened in 2014 after an astonishingly nuanced transformation guided by visionary conservationist and Bass Pro Shops Founder Johnny Morris and renowned course architect Fazio. Adding new approaches, water features and bunkers, Morris and Fazio redesigned the layout to bring players in close contact with nature, including native grasses, rock outcroppings and free-ranging buffalo from nearby Dogwood Canyon Nature Park. Top of the Rock sits gloriously perched above Table Rock Lake, providing breathtaking views of the surrounding area, an Ozark Mountain oasis of natural beauty. In addition to the outstanding course, the complex also showcases a lighted driving range by Palmer and a putting course by Tom Watson. Bass Pro Shops’ Big Cedar Lodge has offered guests rustic elegance in the heart of the Ozark Mountains since 1988. Johnny and Jeanie Morris, inspired by their love of the area, created the popular vacation spot as a special place where conservation and family traditions meld. The resort is home to Top of the Rock Ozarks Heritage Preserve. Perched on a bluff overlooking the Ozark Mountains and legendary Table Rock Lake, Top of the Rock features the world-class Top of the Rock Golf Course, Top of the Rock Lost Canyon Cave and Nature Trail and Ancient Ozarks Natural History Museum. Top of the Rock also features the “End of the Trail” All-American Wine Cellar, three restaurants, a Golf Pro Shop, and the spectacular Chapel of the Ozarks and Civil War-era Top of the Rock Cabin. For more information visit bigcedar.com. Big Cedar Lodge and its golf courses are located in the Branson/Lakes Area of southwest Missouri. The golf destination is home to several esteemed courses with two more currently under construction. Existing courses include the following. Branson is a one-of-a-kind family vacation destination nestled in the lakeside beauty of the Ozark Mountains — and an incredible value — with dozens of live performance theaters, three pristine lakes, championship golf courses, an international award-winning theme park, dozens of attractions and museums, a Historic Downtown district, shopping galore, a full range of dining options, and a host of hotels, motels, resorts, RV parks, campgrounds and meeting and conference facilities. (ST. AUGUSTINE, Fla.) – WE ARE GOLF – a coalition of the game’s leading associations and industry partners – today announces it will once again partner with Topgolf for National Golf Day 2016, offering free golf lessons at the company’s 21 venues nationwide. New for this year, WE ARE GOLF will host a “National Golf Day Launch Party” on Tuesday evening, May 17, at the Hawk ‘n’ Dove on Capitol Hill and Topgolf will serve as a partner, providing giveaways to attendees. For National Golf Day’s ninth consecutive year, golf industry leaders will meet with Members of Congress, the Executive Branch and federal agencies to discuss golf’s nearly $70 billion economy, $4 billion annual charitable impact and many environmental and fitness benefits. Throughout the day, participants will share stories about the game’s 15,000-plus diverse businesses, impact on nearly two million jobs across America, tax revenue creation, tourism and ecological value. Topgolf is a global sports entertainment community creating the best times of your life, with 24 locations serving 8 million guests annually. Players hit golf balls containing computer microchips that track each shot’s accuracy and distance while awarding points for hitting targets on the outfield. Each venue offers an upscale and playful experience, featuring an impressive food and beverage menu, music, games, climate-controlled hitting bays, and hundreds of HDTVs. Topgolf also brings fun, interactive experiences to the community through its Topgolf U lessons, leagues, tournaments, KidZone parties, and social and corporate events. (WILLIAMSBURG, VA) – Colonial Heritage Club has been named the “No. 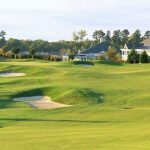 1 Golf Course in Virginia” by GolfAdvisor, the trusted home for hundreds of thousands of reviews and recommendations for golfers by golfers. 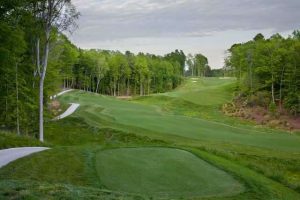 Under Billy Casper Signature management since January 2015, the parkland-style layout near historic Williamsburg, VA topped more than 300 eligible courses with 4.5 (of five) stars. To determine its top-10 list, GolfAdvisor weighed user-based reviews measuring courses’ overall design, conditioning, customer service and affordability. Colonial Heritage’s award-winning, 6,889-yard layout was designed by renowned architect Arthur Hills in 2006. Dense, tree-lined fairways, multiple elevation changes and undulated greens present golf experiences unmatched in the region while six sets provide entertaining challenges for all skill levels. Among its memorable holes is the narrow, 530-yard par-5 No. 5 that requires an accurate tee shot and courageous approach to make birdie. Another highlight is the risk-reward, drivable 311-yard, par-4 No. 12 with a large bunker down the left. Photos Courtesy of Billy Casper Golf. LA ROMANA, D.R. 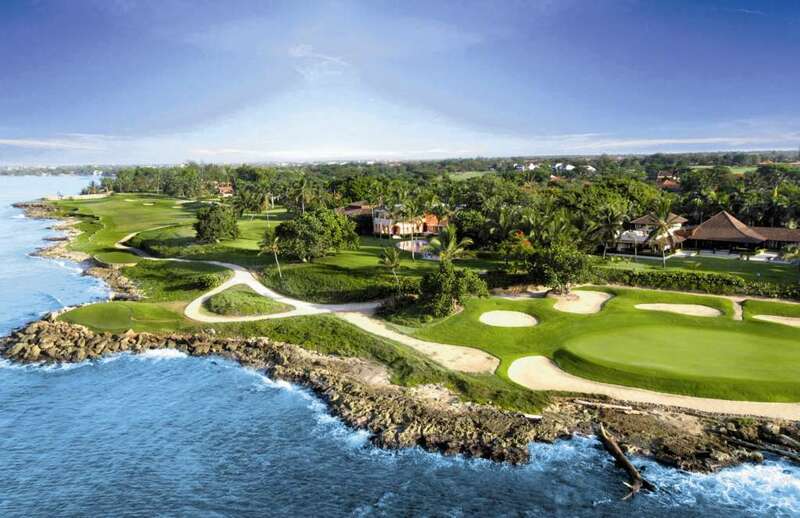 (April 13, 2016)- Casa de Campo Resort & Villas will once again host the Dominican Republic Open golf tournament from May 8-14, 2016, bringing some of the region’s best players to one of the region’s most highly regarded golf venues. This international golf tournament, now in its seventh year, is part of the PGA Tour Latino America and will be played this year at the world-renowned Teeth of the Dog golf course. Designed by Pete Dye and built in the early 1970s, Teeth of the Dog is meticulously hand-carved from the rugged rock and coral of the Dominican coastline, and has earned its reputation as a hard-fought and challenging course. The tournament will include 144 participating players representing 17 different countries from around the world to compete for a prize of US $175,000. A Pete Dye signature course, Teeth of the Dog is the #1 ranked golf course in Latin America and #39 in the world by Golf Magazine. The course was also named “The Caribbean’s Best Golf Course” by World Golf Awards as well as the #1 golf resort in the world by the International Association of Golf Tour Operators (IAGTO) for its collection of golf courses, professional facilities, luxury amenities, as well as its executive team’s commitment to service and exceeding guest expectations. For additional information or to register for the DR Open 2016, please call 809-523-8115 or send an email to golf@ccampo.com.do. Casa de Campo Resort & Villas – a member of The Leading Hotels of the World – attracts affluent travelers with the offering of spacious hotel rooms, suites and luxury villas. Expect gourmet cuisine and fine wines and spirits throughout the destination’s restaurants and bars, a 370-slip Marina & Yacht Club, Polo & Equestrian Club, Jim Courier Tennis Center and 245-acre Shooting Club. Spanning 7,000 tropical acres on the southeastern coast of the Dominican Republic, this luxury Caribbean destination is also home to three of the game’s most difficult courses all designed by Pete Dye, including Teeth of the Dog, Dye Fore and Links. Casa de Campo is also home to Altos de Chavón – an artisan’s village modeled after a 16th century Mediterranean city with boutique shops, museums and a 5,000-seat Grecian-style amphitheater inaugurated by Frank Sinatra in August of 1982. For ease of arrival, La Romana International Airport, Casa de Campo (LRM) is five minutes from check-in and serviced by JetBlue Airways (now with direct flights from JFK three times a week) and seasonally by American Airlines (non-stop service from MIA). A short drive away, Santo Domingo (SDQ) and Punta Cana (PUJ) operate daily direct flights from all major U.S. airports. For more information, please call 1-800-877-3643, or visit www.casadecampo.com.do.